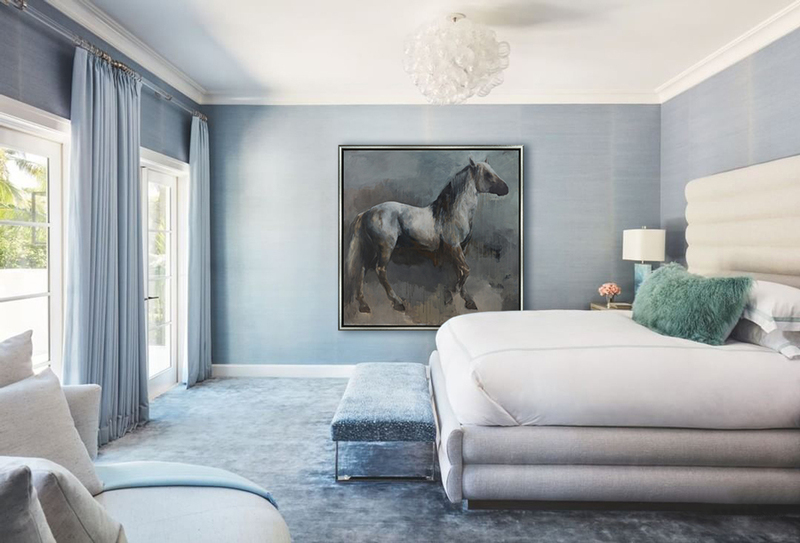 Cool and serene, this dreamy, cerulean bedroom is full of soft natural light, setting the scene for a painterly work of art that transports viewers to another world. David Burdeny’s subtle, geometric work Saltern Study 01 adds a geological dimension to this cool interior. 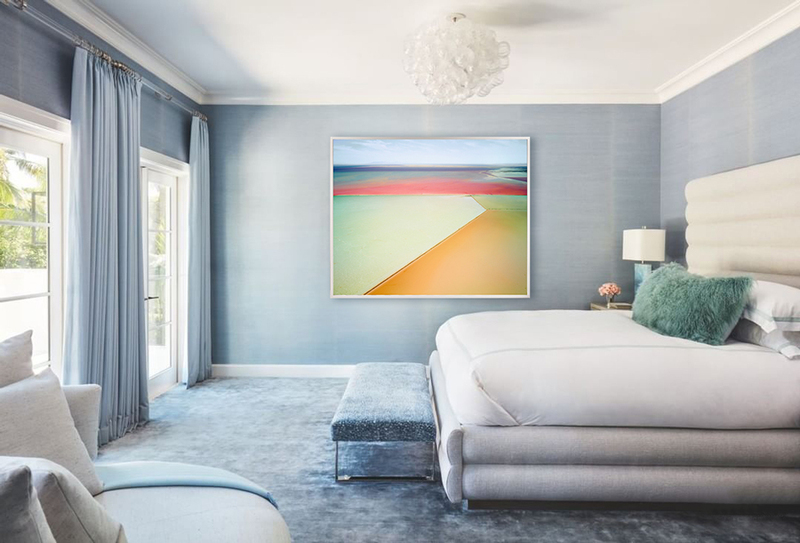 The photograph embodies Burdeny’s aim to “capture the mood and promise, silence and solitude in [an] extended moment of awareness” – the colorful tranquility of the Great Salt Lake paints this bedroom with an essence of peace and mindfulness. 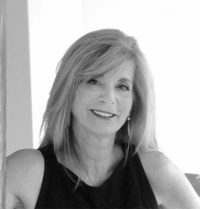 Majestic and monumental, Marilyn Borglum’s The Search complements the soft, cool hues of this elegant interior. Borglum’s painterly marks throughout the piece invite a layered sense of dimension— the effortless, “unfinished” elements dance alongside the refined, more precisely rendered details in the work—adding a sense of depth and intrigue to this bedroom.